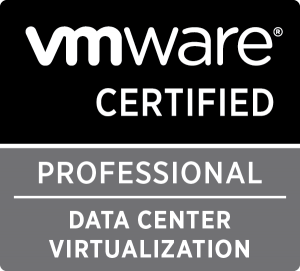 Veeam Certified Engineer — Advanced (VMCE-A): Design & Optimization V1 Course – PART 2 | vm-UP! Optimizations (regarding: B&R Database, Proxy, Repo, per-VM files, Dedup Appliances, WAN Accelerator, Tapes, Enterprise Manager, Indexing and AV). After that we started with the second part of the scenario which we talked yesterday – new situation: customer added some new components and how to backup / replicate them. If you are a Hyper-V customer you will be lost. Focus is 90%+ on VMware (which is absolutely OK for me :-)). Maybe Veeam should offer 2 versions of the course (one with focus on Hyper-V and the other for VMware customers) but as I know, this is not so easy. So I’m very excited about the exam. I will post a Part 3 when I tried it and will provide some information’s. It’s an interesting about Hyper-V. Which part of the course do you feel was not covered as well on Hyper-V as VMware? 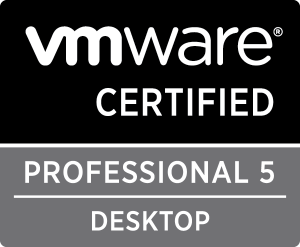 My „overall-feeling“ is, that VMware is more handled by this course than Hyper-V. I think, if you would also create a (third) scenario with Hyper-V (regarding all the On/Off-Host Proxies, etc.) this would be useful for Hyper-V folks. How was the timings? What time did you start/finish on each day? Did you feel there was sufficient time to process a third scenario? So we started at 8:30 and finished up around 17:00 with 2 short breaks and lunch took 45 minutes. But during the brakes we discussed about the content of the course.